The U.S. government says Cuba has released 53 political prisoners as of Monday, complying with a promise made last month as the two countries announced efforts to normalize diplomatic ties. 1 (Left to right) Recently released dissidents Luis Diaz, David Gayselo, Miguel Tamayo, Vladimir Ortis, Aide Gallardo, Angel Casteyon, Sonia Garro, Mario Hernandez, Rolando Reyes, Carlos Figueyda and Eugenio Hernandez react during a march in Havana, Cuba, Jan. 11, 2015. 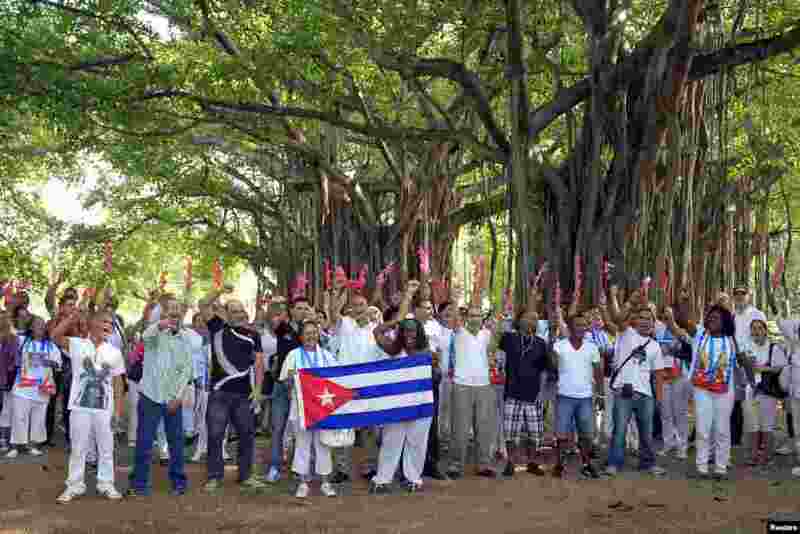 2 Recently released dissidents Aide Gallardo (left) and Sonia Garro hold the Cuban national flag during a march. Cuba has released all 53 prisoners it had promised to free, senior U.S. officials said, Havana, Cuba, Jan. 11, 2015. 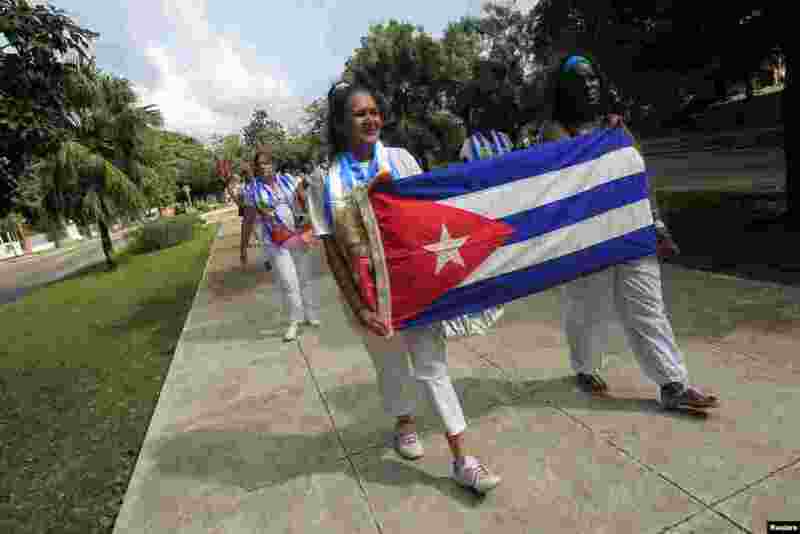 3 Recently released dissidents Aide Gallardo (left) and Sonia Garro hold the Cuban national flag during a march in Havana, Cuba, Jan. 11, 2015. 4 Reinier Figueredo (left) reacts while holding his father Angel's hand at their home. 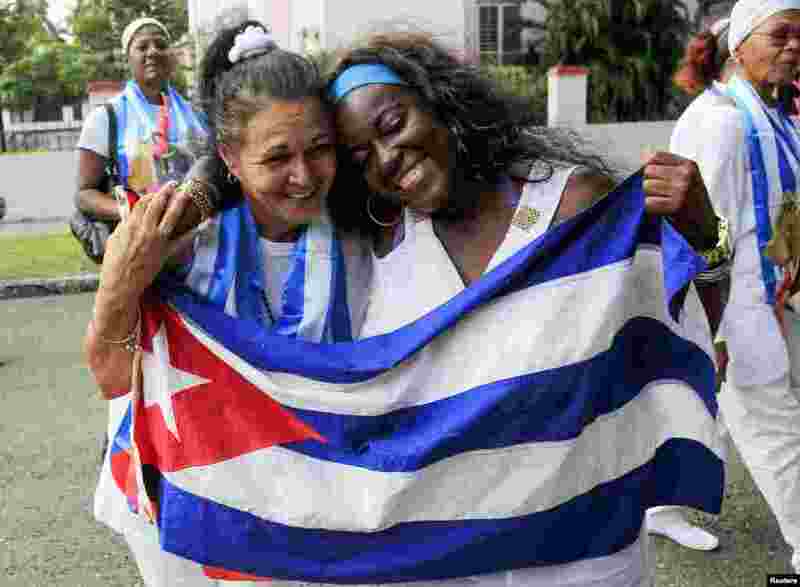 Angel Figueredo and his wife Haydee Gallardo (not pictured), members of the "Ladies in White" dissident group, were detained last year after shouting anti-government slogans at a rally, in Havana, Cuba, Jan. 8, 2015.